The combined release of Joe Berlinger’s film and documentary series about the serial killer Ted Bundy, with the latter being released on the thirtieth anniversary of his execution, have elicited a wave of both criticism and reactionary support on social media. The movie, which portrays Zac Efron as the dark killer and Lily Collins as his manipulated fiance, has been deeply criticised by those who see Berlinger’s dramatisation as being sympathetic to Bundy, the bulk of which stemming from a trailer that has an action movie tone and that, quite strangely, has the look of a victim fighting against the system. However neither this trailer nor the debate around it are the subject of this discussion. Instead, I want to take this opportunity to present a philosophical question, that being: should we consider moral value when determining the quality of art? If you’re on either side of thesocial justice/free speech warrior spectrum than you may have already given your judgement; however, it is worth to know that this debate also exists, like many other things, outside of Twitter. Philosophy has indeed formulated its own version of both of these positions, which we may call ‘autonomism’,or ‘aestheticism’, and ‘moralism’. Putting the paradox (which has been criticised) that ignoring morals makes you moral aside, Posner here is epitomising something central to ‘autonomism’, that being, that the purpose of art should be ignored in place of its formal, or aesthetic, quality. The link that Posner makes to the ‘liberal individualism’ in autonomism will ring well with conservative commentators, such as Shapiro or Crowder, for they would liken moralism to betraying such values. Of course, unlike regular moralists (see Nussbaum), these figures make a correlation between a morality-based argument and the problem of censorship. It is important to understand that moralism does not come hand in hand with censorship, in the same way that autonomism does not mean the development of a amoral attitude in one’s daily life. What makes an argument like Posner’s so attractive to conservative thinkers, however, is that such thinking allows one to ignore the social problems that a piece of work may be loaded with, which, as conservatives, they do not consider to be an issue. 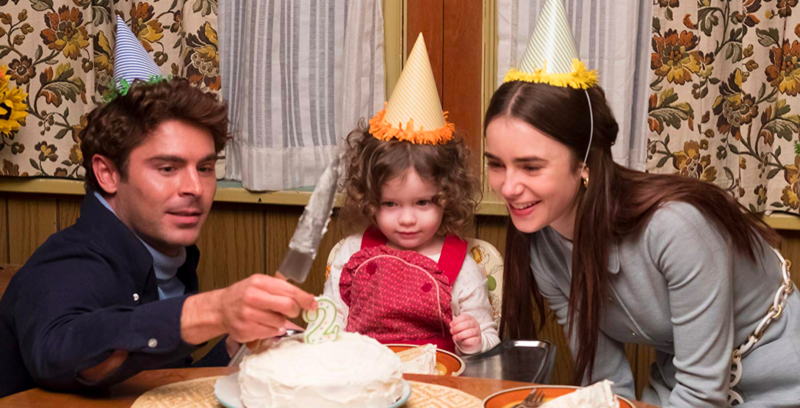 In the case of the Ted Bundy film, what I am asking you to consider is the validity of cricising its aesthetic value on the basis of morality alone. If the film did sentimentalise the lifestyle of Bundy, does this immorality corrupt the worthiness of this film as a piece of art, and if so, how should we, as a society, interact with it and other works like it? If you wish to read more about this subject, and more on the purpose of art in society, then follow this link to the ‘Internet Encyclopedia of Philosophy’. There is much in our everyday conversations that can be found in the world of philosopher, and much to be gained from engaging with it. ← To Brush Over It: What exactly is art therapy?